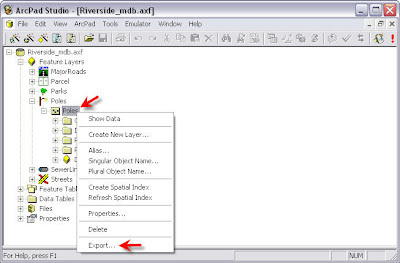 Data in an AXF file can be exported to shapefiles using tools in ArcPad Studio.In this example I opened Riverside.axf sample file in ArcPad Studio.Right click on the Poles feature layer and click on the “Export…” menu item.Then in the “Export to Shapefile” dialogue window I can type in the name for this shapefile and save it. 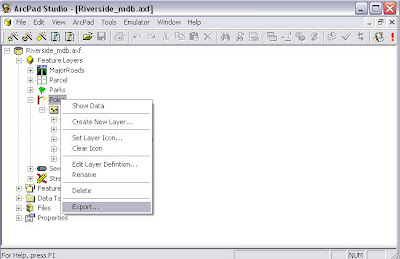 If only a DBF file is needed for Poles layer, I would right click on the “Poles” sub-layer and select the “Export…” item. 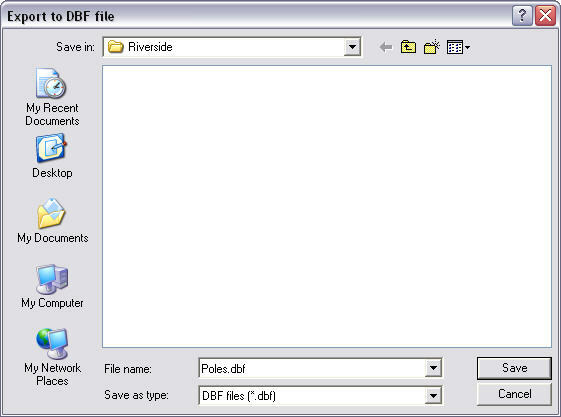 Then save the DBF file in the “Export to DBF file” window. 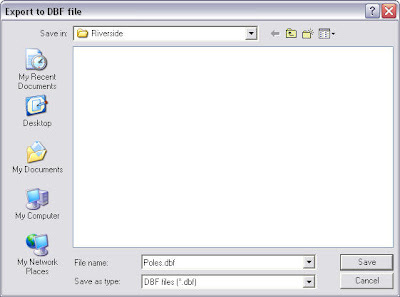 The DBF file can be opened and viewed in MS Excel. 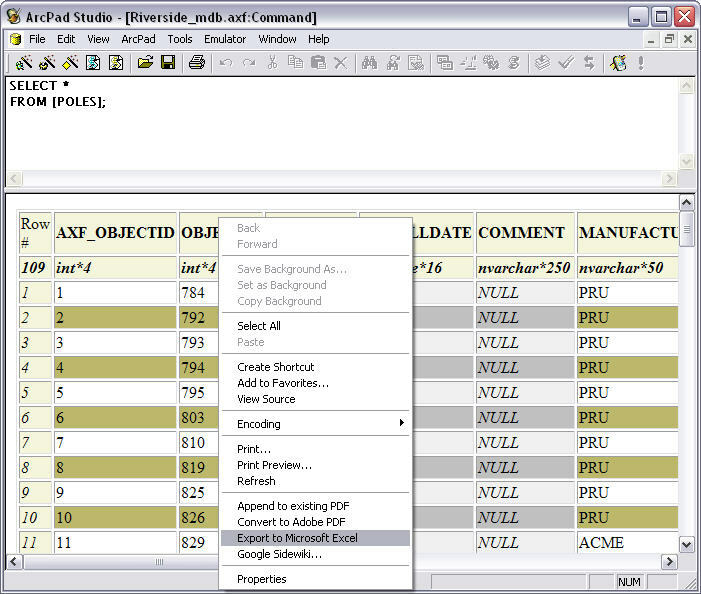 There's another way to view AXF data in Excel. 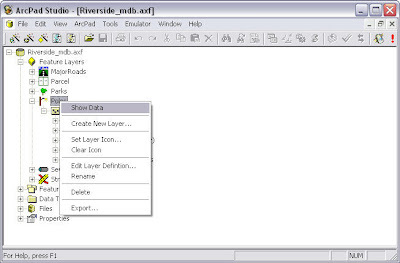 We need to open the AXF data table first in ArcPad Studio. 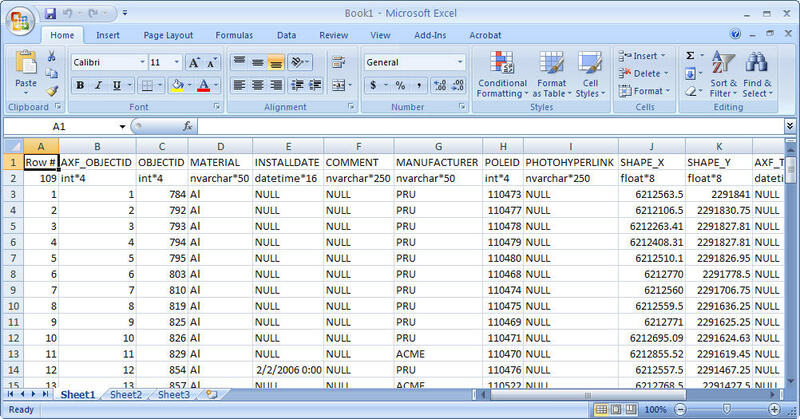 Then right click on the data table and select the “Export to Miscrosoft Excel” item. 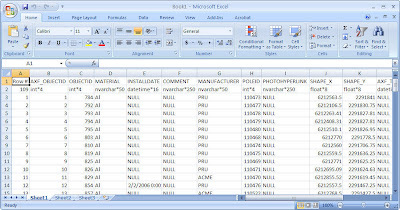 Excel program is automatically opened on your computer and the data is shown in the spreadsheet now. Thanks for posting this! 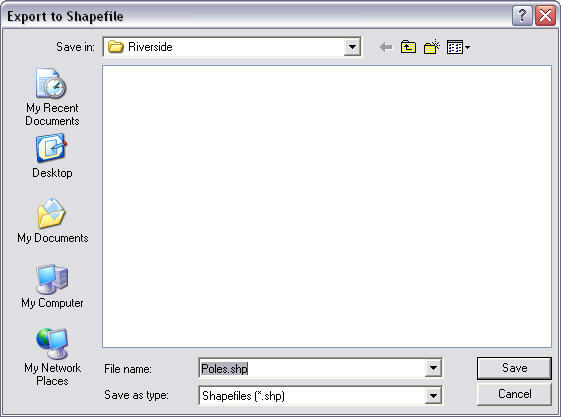 I was having issues importing an older checkout back into my geodatabase and this is exactly what I was looking for! My right-click menu stops at 'delete', there is no export option. Any suggestions? Joel, what version of ArcPad are you using? 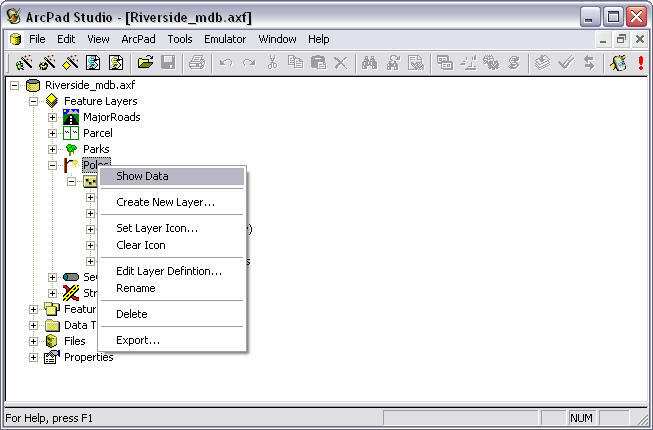 This functionality was a new addition to ArcPad 10, it will not be present in previous versions. Apologies for the ambiguity. 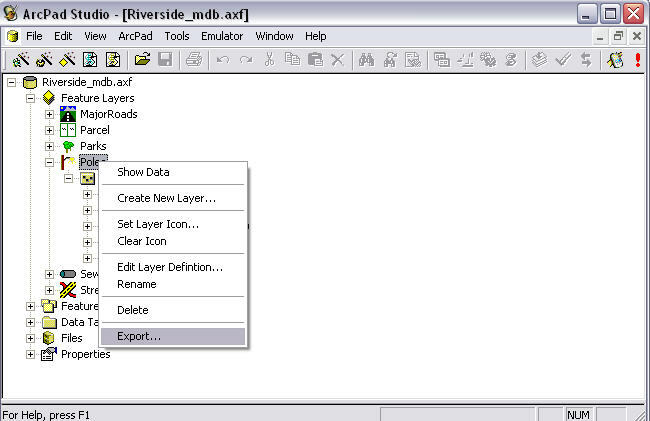 Is this the only way to export AXF data? How does it work with line & polygon data? 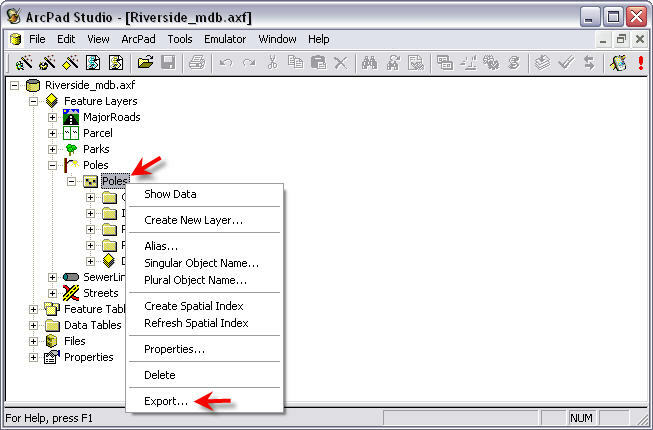 Is this the only way to export AXF data? Hows does it work with line & polygon data? I can't be the only one with this problem, but I can't find an answer. With your first method, I lose the critical Time portion of my DATE field. This is unacceptable. 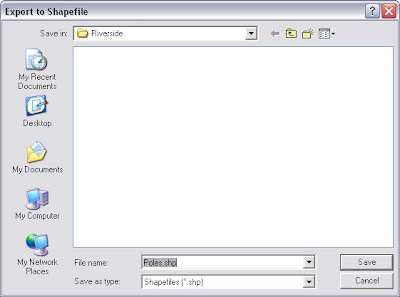 Using the Show Data method and then exporting directly to Excel keeps the time portion of the Date Time field, but only shows the first 1000 records. 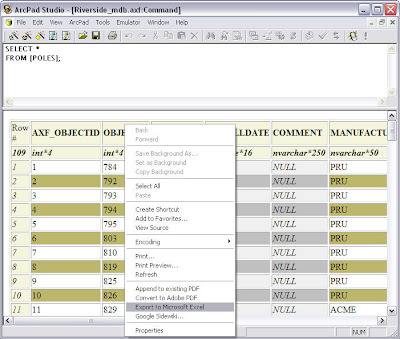 So - Show Data should be renamed to Show Some of your Data.